For those of you who have managed to stop by The Reflector office over the past four years, you may have seen me hovering about. It seems the comfy red chairs of this basement have been my home away from home since I first set foot in the journalism program here at MRU. Now, I’m the new features editor! Trust me, I’m just as shocked as you are. Although I’m slowly overcoming my initial reaction to hearing the news of getting this coveted position, I can’t help but still be a bit overwhelmed. 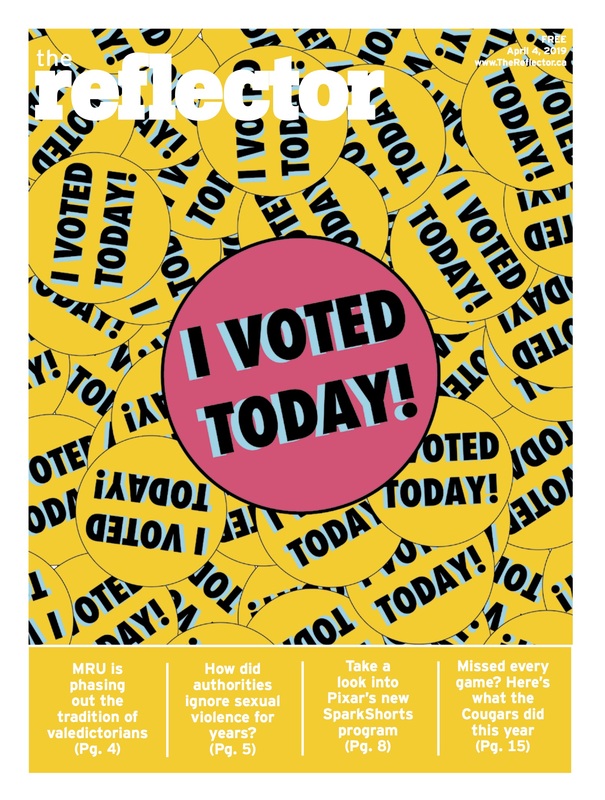 The Reflector has always been such a fine student publication and as of late the features section, under the creative genius of Katie Turner, has really raised the bar when it comes to story content and quality. I’m confident however, that I won’t wreck things too much . . . I hope. In all honesty though, I’m super excited to be given this opportunity and I’ll do my very best to make everyone proud. I’ve got a few ideas rattling about and am really hoping to remind our readers of how fun this university, as well as this city, truly is. To be part of The Reflector gang is a dream come true. I know, I know, I’m probably the cheesiest person here, but this group is some of the most talented and dedicated folks, not to mention, hilarious. The inter-office banter itself cemented my accepting of this opportunity. In the time that I have had to get to know this lot, I have quickly been made to feel at home and have been taken under many a proverbial wing as I learn the editorial ropes. Look ma, I’m one of the cool kids! I’d also like to take this little moment to say congratulations to Katie Turner on her new position as head honcho. She is one of the most capable people kicking about down here and has already shown her stripes this production round. I know she will turn this paper into an even bigger success. So I’m hoping to see a lot of new faces down here to contribute their wordsmith skills and help keep features, as well as The Reflector, rolling smoothly. Here’s to a wicked year ahead! Can’t wait!